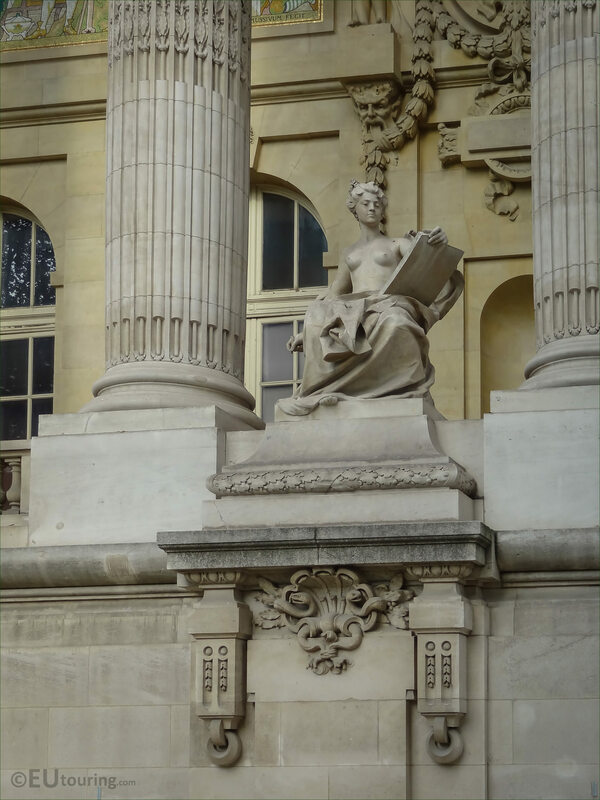 We were again at the Grand Palais located in the 8th Arrondissement of Paris, when we took these high definition photos showing a statue called L'Art Contemporain, which was sculpted by Felix Charpentier. 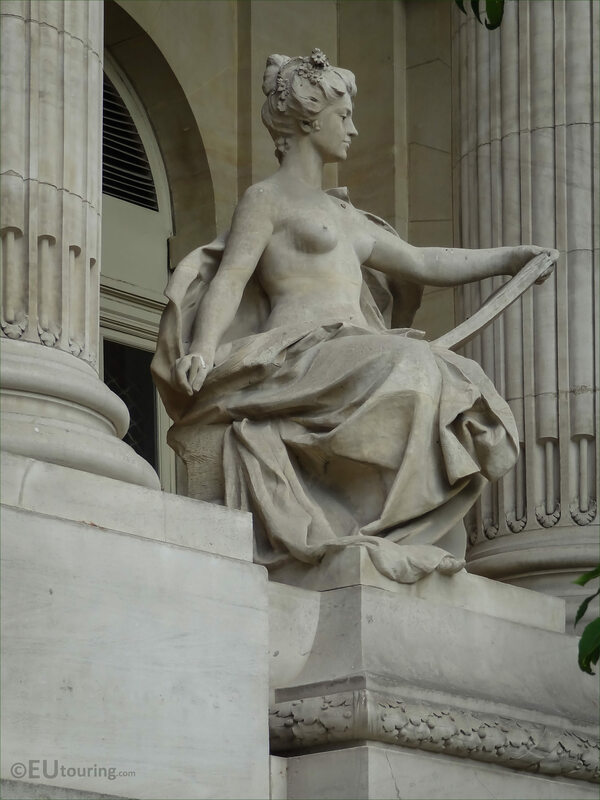 This first photograph shows a front on view of the statue called L'Art Contemporain, which in English translates to Contemporary Art, and this is one of four allegorical statues on the Grand Palais depicting French art through the ages. 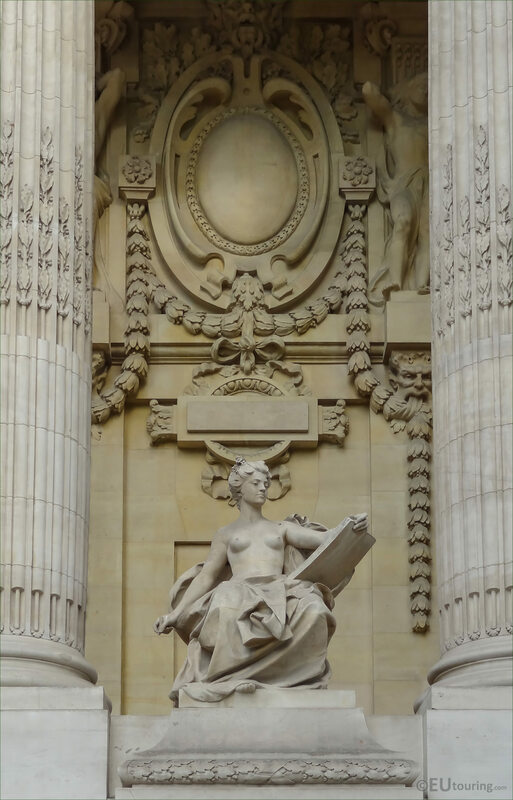 You will find the statue located between two columns on the eastern facade of the Grand Palais, which was constructed for the 1900 Universal exhibition in Paris, and behind this you can see some of the other ornate architectural features that went into the design of this building. 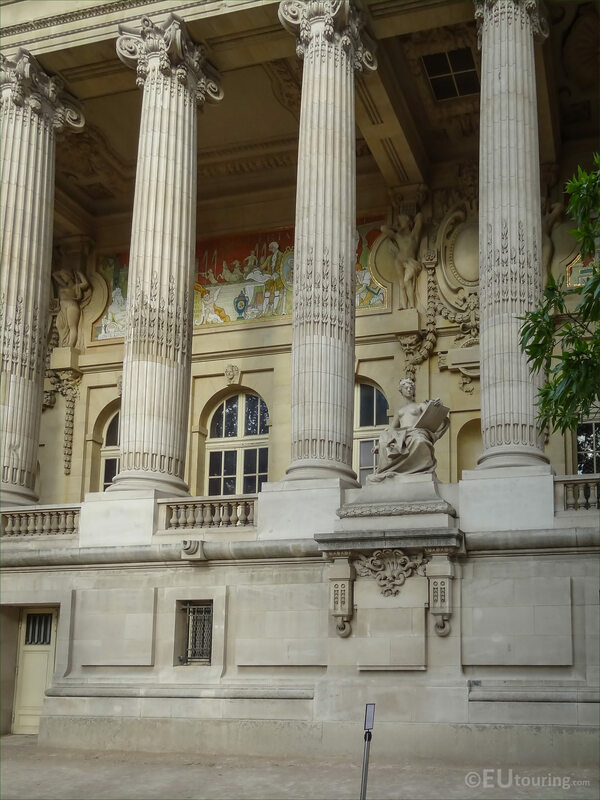 The Grand Palais is one of the popular tourist attractions in Paris that has been classified as an historical monument, and because of this, funds were allocated to embark on a major restoration project to bring the building along with its sculptures and statues back to their former glory. 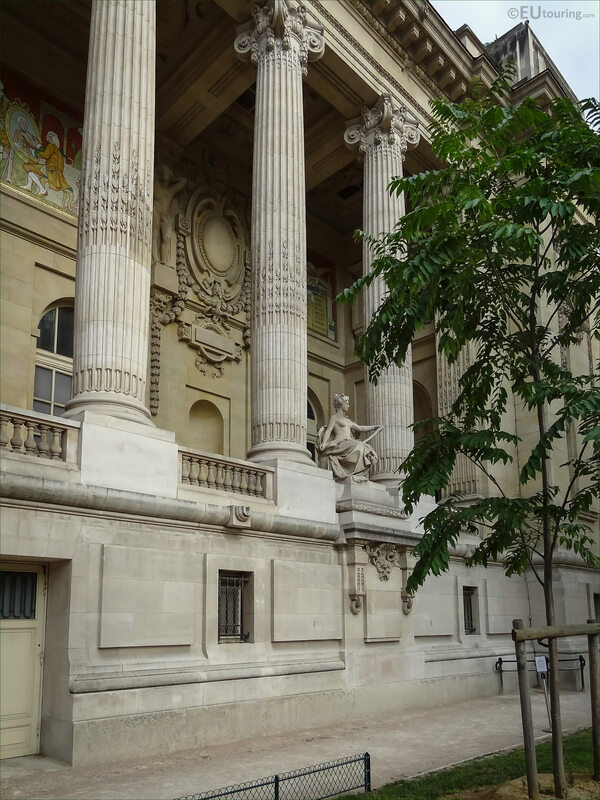 Now the Grand Palais actually has two colonnades, and these are an architectural element utilising columns or pillars with equal spacing that are designed to hold up a roof, etc, like you can see here, which is the colonnade to the right hand side of the main entrance. Yet this next photo shows a close up of the L'Art Contemporain statue, which was sculpted by Felix Charpentier, who was born in Bollene within the Provence-Alpes Cote d'Azur region of France on 10th January 1858 to a working class family, and he initially started out working at the same factory as his father. 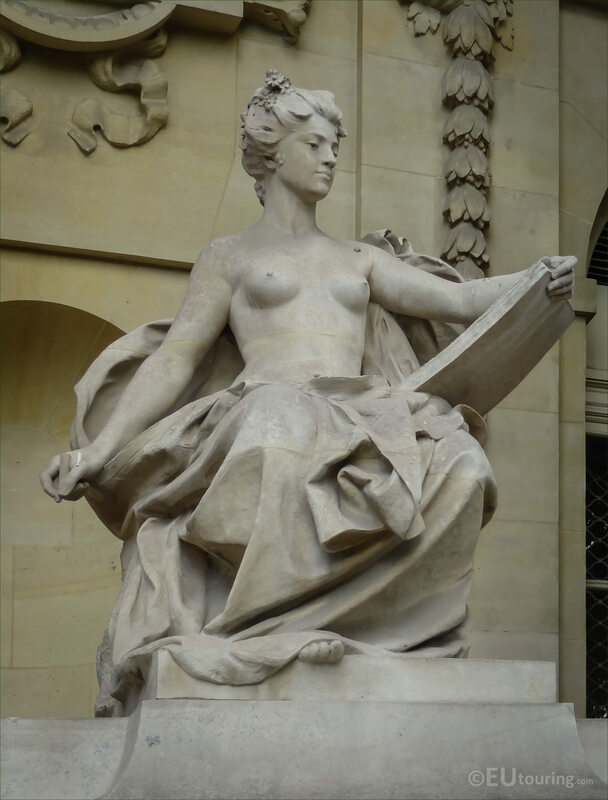 However, utilising materials from the brick factory including clay, his modelling skills were noticed at a young age, and Felix Charpentier was able to enrol at the Ecole des Beaux Arts in Avignon before entering the Ecole des Beaux Arts in Paris, studying under Jules Cavelier, and presenting works at the Salons for French artists. 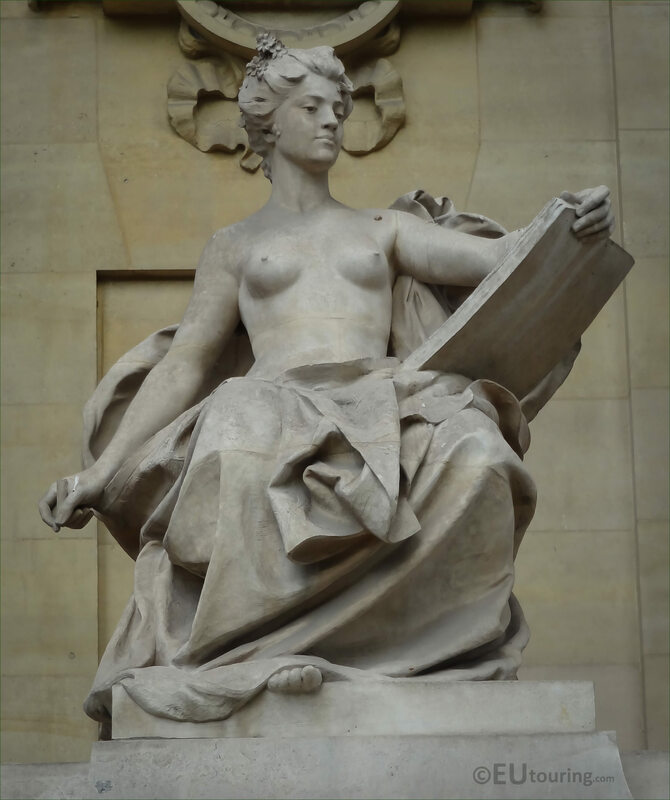 It was not long before the talent of Felix Charpentier was recognised by the French State and the City of Paris, especially with the amount of different awards he received for his works, and he received numerous public commissions including this allegory depicting Contemporary Art on the Grand Palais. 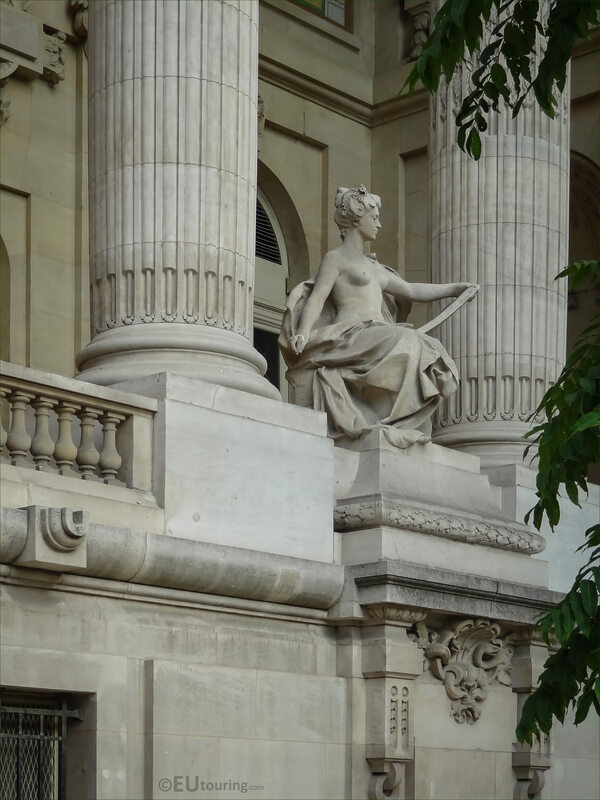 And although you can see other works by Felix Charpentier on places like the Gare de Lyon and within Parc Monceau, there are many statues and monuments of his that are located in his home town of Bollene and in Avignon including World War I war memorials, continuing to work right up until he passed away in 1924. 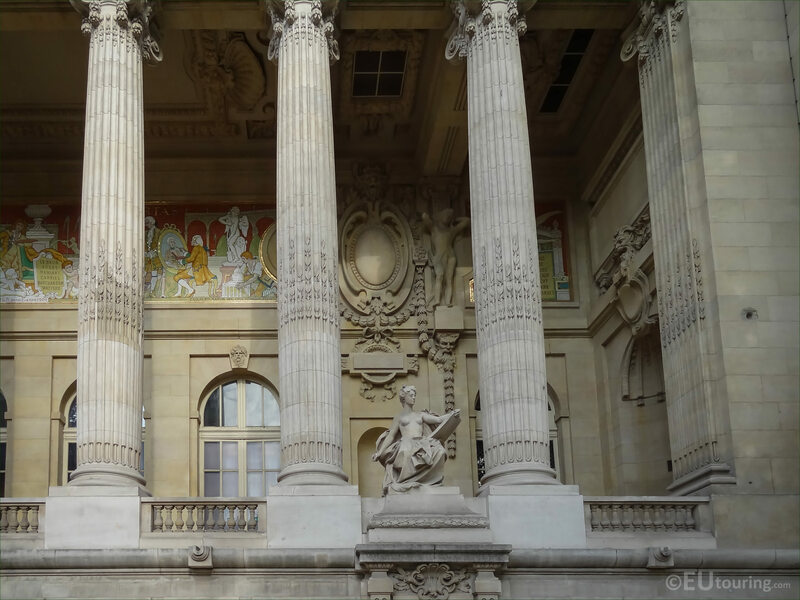 So in this image you can see the Contemporary Art statue located to the far right hand side of the colonnade on the Grand Palais, which is the Eastern facade that looks over to the smaller Petit Palais museum with the Avenue Winston Churchill in between, all located in the 8th Arrondissement. 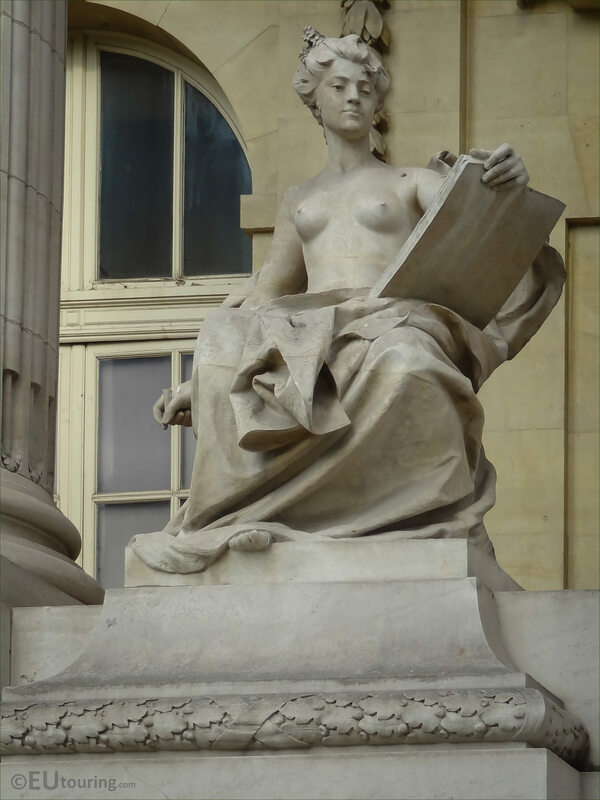 And in this last photograph, you can tell that we were standing on the ground in front of L'art Contemporain looking up to the allegorical female figure, which has been completely cleaned and treated with a protective layer to preserve the condition of this statue for future generations to enjoy.